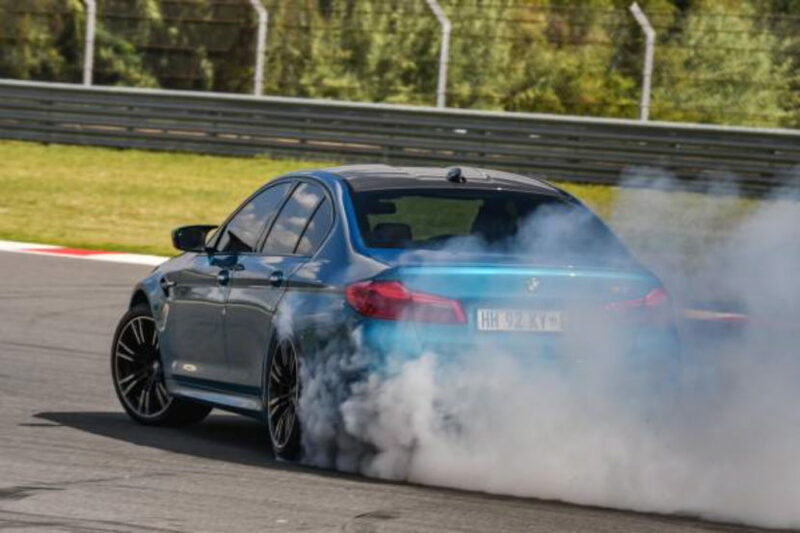 We all know by now that the new BMW M5 can drift since it set the World Record in exciting fashion. With a flip of a switch to convert the M xDrive to 2WD mode, and a punch of the throttle, the 553 lb-ft of torque from the 4.4 liter V8 easily lights up the rear tires. But that’s not hard on a skid pad at low speeds – what about in fifth gear, on a Formula 1 circuit, fully-loaded with three other adults in the car? Well, that may take some talent, which BMW Performance Driving School Instructor Rafael Torres has in spades! 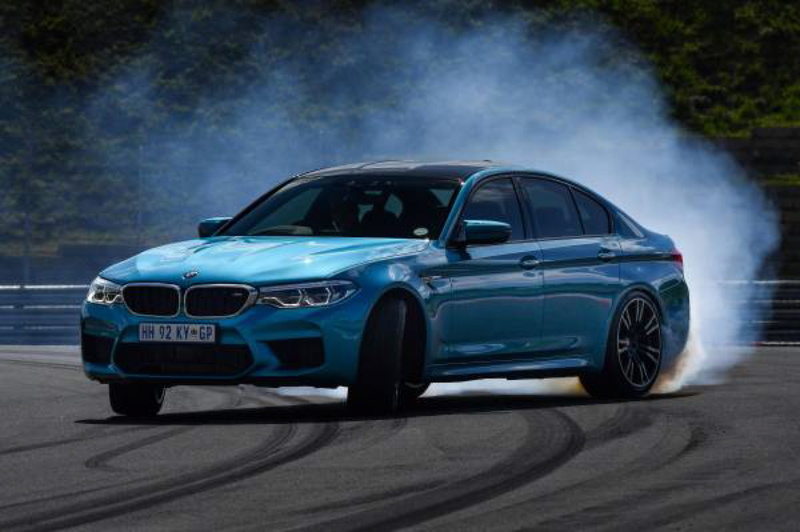 The long-time high performance driving instructor was recently working at the BMW M Track Days at the Circuit of the Americas (COTA) just outside of Austin, Texas. At the end of the day, event attendees are able to get a hot lap with one of the instructors in BMW’s latest and greatest. Since this is their time to shine, they usually have a little fun with it, and make it a memorable experience by getting the big sedan sideways and producing some big clouds of smoke. Though turns 16, 17 & 18 at COTA are technically three corners, when taken at speed it’s more like a long arcing triple-apex turn that whisks you around the COTA Tower and Amphitheater. And after having some sideways fun through turns 13, 14 & 15, on this particular hot lap Rafael decided to keep his foot buried in it while flat-out in fifth gear showing that the M5 can indeed create epic drifts at high speed as well! Just wish someone was filming from the top of the tower.